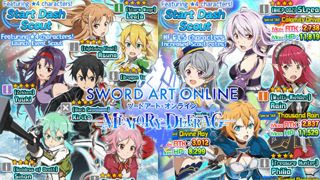 Here's a list of support characters in the action RPG mobile game Sword Art Online: Memory Defrag. Support units can be used to regain HP and/or MP, enhance the stats of your team, or debuff enemy stats during battle. - Characters that can heal your entire team (Attack Stat can also increase the healing amount). Recommended units for Floor Clearing Events! Note that you can also heal your team between fights while the timer is not ticking. - SS3s are easy to spam, with bonus barrier to ignore some attacks! - SS3s are easy to spam from any location and can dodge attacks by staying midair! - SS3s are easy to spam just time it well. Stun chance triggers after a set number of SS3s (usually 2 or 3). - Characters that can recover your entire team's MP (fixed amount) or combination partners. Note that you can also recover your team's MP between fights while the timer is not ticking. - Characters that can buff and increase your team's attack damage or crit rate around 10% (doesn't stack and only lasts 15 seconds). Note that you can also buff your team between fights while the timer is not ticking. - SS3s are easy to spam, watch out for incoming attacks though. 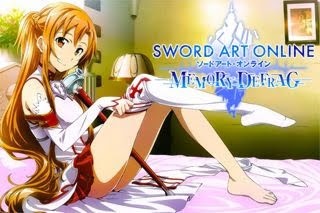 - Combo Partner: [Sinon] - Increases damage attained by 10%. - SS3s can be spammed from a ranged position but watch out for incoming attacks. - SS3s must be executed in-line or far from target to avoid misses. - SS3s are easy to spam; also have Auto Parry. - SS3s are easy to spam, best with combinations; also have Auto Parry. - SS3s are easy to spam, just position your unit well. - Combo Partner: [Wind Element] - Increases damage attained by 10%. - SS3s are easy to spam from any location. - Combo Partner: [Yui] - Increases damage by 10%. - Combo Partner: [Sinon] - Increases damage by 10%. - Combo Partner: [Lisbeth] - Increases damage attained by 10%. - Combo Partner: [Dark Element] - Increases damage attained by 10%. - Characters that can use debuffs to decrease the stats of enemies, for best results, use from the start. - Debuffs usually lasts around 30 seconds and doesn't stack, it will only reset the timer if used again. - SS3s are easy to spam, best used with combinations. - Combo Partner: [Guns] - Increases damage attained by 10%. - SS3s are easy to spam, but avoid using from top/bottom of target. - Combo Partner: [Swords] - Increases damage attained by 10%. - SS3s are easy to spam, while dodging certain attacks. - Combo Partner: [Yui] - Increases damage attained by 10%. - SS3s are easy to spam, excellent starter for combination attacks too! - - SS3s are easy to spam, excellent starter for combination attacks too! - SS3s are pretty much on point, so rely on her frame locks (turn off AP to increase range). - Combo Partner: [Rod] - Increases damage attained by 10%. - Combo Partner: [Lance] - Increases damage attained by 10%. - Ranking Order: Support Type > Element > Name. How To Obtain Specific 4* and 5* Characters?